'The Legend of Tarzan' New Images! 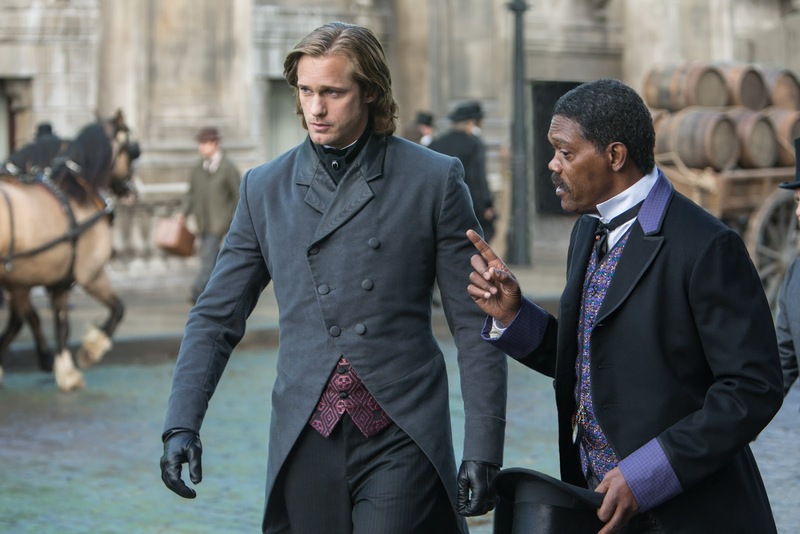 I hope you had a great weekend and survived Batman V Superman so to kick off your week are two new still images from The Legend of Tarzan, both showing Alexander Skarsgard and Samuel L. Jackson in various locales. 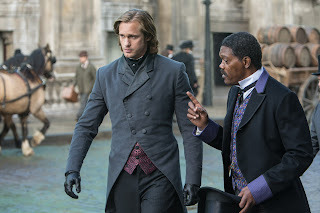 The former pic comes from USA Today, which included the film as one of their "13 Must-See Films," the later from an Italian movie site http://www.bestmovie.it/news/esclusiva-sul-set-di-tarzan-il-reboot-con-alexander-skarsgaard-e-samuel-jackson-in-sala-a-luglio/454741/. If you can read Italian head over and leave your thoughts on the latest pics below. 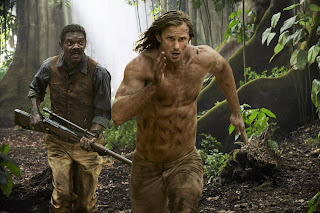 Sellers says on his blog that there have been comments online that the first picture, of running Tarzan with Williams, looks kind of photoshopped. I think I agree. But since he had stunt double, or probably more than one of them, I wonder if that is one the shots where the actual performer is the stunt double - perhaps that scene is right at the point when the character is about to do something which required said double - and the slight weirdness in the picture is a result of morphing Skarsgård's features on top of the actual runner. Really like the second pic. Victorian men's wear could be very elegant, and both outfits seem to be quite well tailored. And with our main character, his actor has a figure which looks pretty good in almost anything, so in those clothes the end result is quite pleasant to look at. Much nicer than a t-shirt and jeans. :) Plus good indication that the movie should at the very least be well into the eye-candy category, both for its actors as well as for everything else, the landscapes seen in the trailers were damn nice too.